The Pina Zangaro Vista Snow Screwpost Binders are composed of 1/8th inch opaque white acrylic panels with strong aluminum hinges, and are made right in the USA. 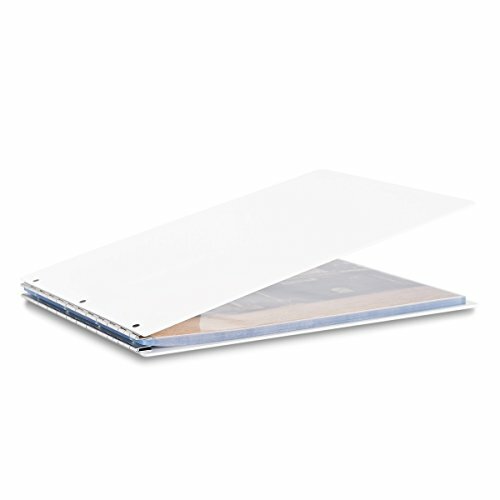 Includes 20 pro-archive sheet protectors. Screwpost extensions, along with additional refills/adhesive strips/inkjet sheets can be purchased separately allowing the binder to hold approximately 25 refill sheets, 50 adhesive strips, or 25 inkjet sheets. Can be color imprinted or laser etched with your brand or logo for a custom look. Holds A3 landscape format artwork.